We have been deeply engaged in the development of the Rebus Community platform and in writing the documentation that accompanies it, and we’re very excited for the opportunity to share that work as part of Open Ed Week 2019. Join us in celebrating OER from March 4th to 8th—a great chance to meet new people, nerd out about open textbooks, and get answers to the questions you’ve always wanted to ask. 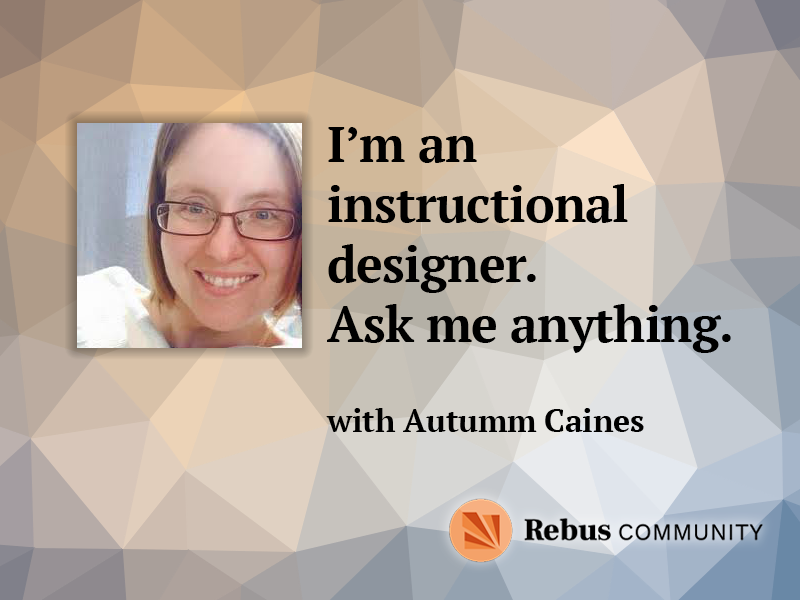 Online Event: I’m an instructional designer. Ask me anything. 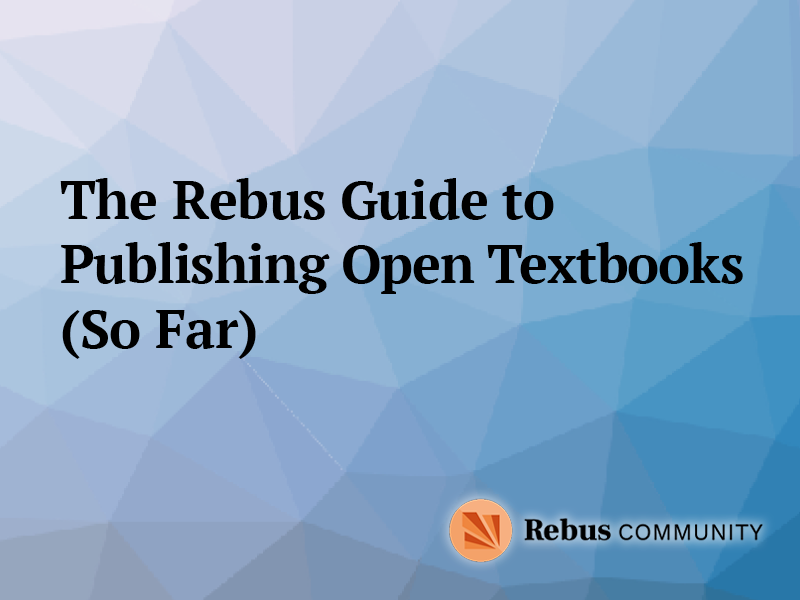 We’re sharing an updated version of The Rebus Guide to Publishing Open Textbooks (So Far) by Apurva Ashok and Zoe Wake Hyde of the Rebus Community team. This resource is a living repository of knowledge that has been gleaned from the community (both small c and big C). It’s full of suggestions on the whole publishing process—from building a team to post-release considerations. Use it, share it, and debate about it on the Rebus Community. 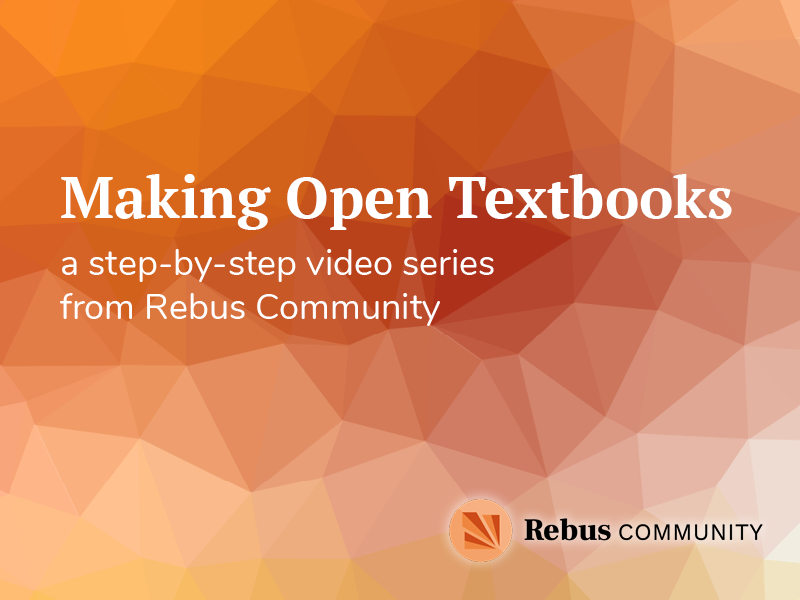 To complement The Rebus Guide to Publishing Open Textbooks (So Far), we’re creating a playlist of short and shareable videos on open textbook creation. Watch the introductory video of Making Open Textbooks and view the first three—”Building a Team”, “Leading a Team”, and “Project Scoping”—on March 4th. Happy Open Ed Week everyone! Follow us on Twitter for #OpenEdWeek updates as they happen.